Introduced by Apple in 2007, the original iPhone was the brainchild of Steve Jobs who unveiled it at a Macintosh keynote address. This breakthrough in technology was, according to Jobs, the first of its kind in a combination of touchscreen controls and internet innovation in a mobile phone. The iPhone was small by technology standards of the time and provided consumers with several extension options. Users of the 1st Gen iPhone were perhaps most initially impressed with the multi-touch screen interface, letting them control various functions with just swipes and slides of the finger. Users can zoom in on the screen by dragging two fingers in a reverse-pinch motion across the screen. Within the technology of the phone users also find an accelerometer – the component that tells the phone when it is in either portrait or landscape viewing mode and alter the screen view accordingly. One of the most common complaints about the iPhone 1st Generation is regarding headphone compatibility. The headphones from 3rd party manufacturers do not work without an adapter. The connector is set so far into the iPhone that without such an adapter only original, factory headphones will work. Another complaint about the iPhone 1st Generation is that the battery life depletes rather quickly when things such as music and video applications are used, especially out of networks and on Wi-Fi. When users are listening to music on their iPhones and calls ring through, the music automatically fades. Just one click answers the incoming call and one click to end the call means that the music fades back from its original place. With the iPhone there are several options for connecting to the internet. Users can turn the Wi-Fi on and off, and even when on the “off” setting the phone can still connect by going through an internet provider or EDGE technology – the default option for times when no Wi-Fi connection available. The EDGE technology increases the capacity of the network with rates of almost 390 Kbps. Some of the most popular features of the 1st Gen iPhone are the software options, including web browsing with Safari, mail programs, and the forthcoming apps specifically designed to work with the 1st Generation technology. There are some who complain about the slow loading time or intermittent crashing of the browsing software, but as one of the first mobile devices to offer such capabilities these complaints are not foremost. In order to protect the product consumers can select from a variety of cases, most of which are made of durable yet flexible silicone. They are available in a variety of colors and patterns, and they allow users to use their phones while they remain in the protective case. The release of the original iPhone is often still referred to as a breakthrough invention that allowed unparalleled connectivity. In fact, in 2007 Time magazine gave very high reviews and even named it the “Invention of the Year”. 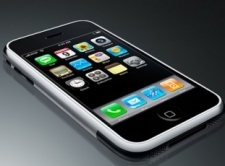 Just a little more than 16 months later Apple discontinued production of the original iPhone and introduced the successor – the iPhone 3G. As the 1st generation of the iPhone is getting up there in years, there are not a lot of online casinos that have optimized software for this device, so the “best” casino was a little hard to find. However, we have tested the following casinos on our old school iPhones and we couldn’t be happier with the results. Here is where you want to play online depending on which region of the world you live in. 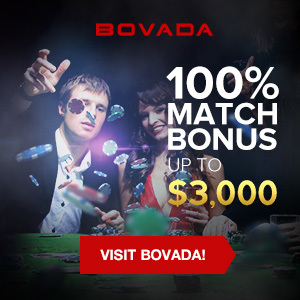 You will see the Bovada Casino all over MacCasino.net as they are one of the best destinations for players in the United States who like to gamble online. However, we are listing them here due to their team of developers who clearly work around the clock to ensure that they have the best mobile casino software for earlier generations of the iPhone, including the 1st Gen.
One of the best online casinos in the United Kingdom also has some of the best mobile software available for the iPhone 1st Gen. The award-winning 32Red Casino is our pick for those of you who bought your Apple iPhone in 2007 and refuse to upgrade your device. The best Canadian casino for the iPhone 1st Gen is the same mobile casino that we recommend for most Canadian smartphone users. Pound for pound, the Bodog Casino is by far and away the best mobile casino for you whether you live in Newfoundland or Alberta, as their casino games always play beautifully on all Apple and Android devices regardless of how close to Nunavut you are.